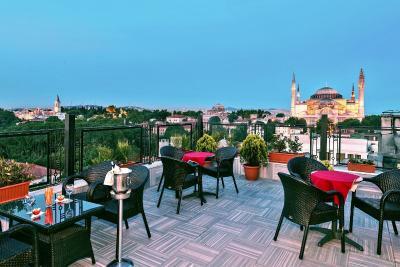 Lock in a great price for Agora Life Hotel – rated 8.4 by recent guests! Friendly staff, very helpful. 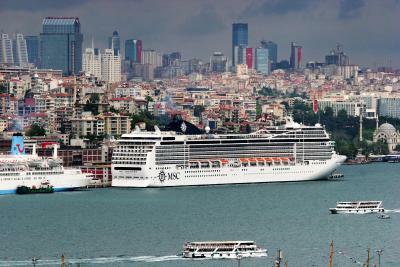 Excellent location for visiting the main attractions of old Istanbul. Breakfast staff was very friendly and attended swiftly to our needs. It was a great Hotel overall!!! Everything was beyond my expectations!!! 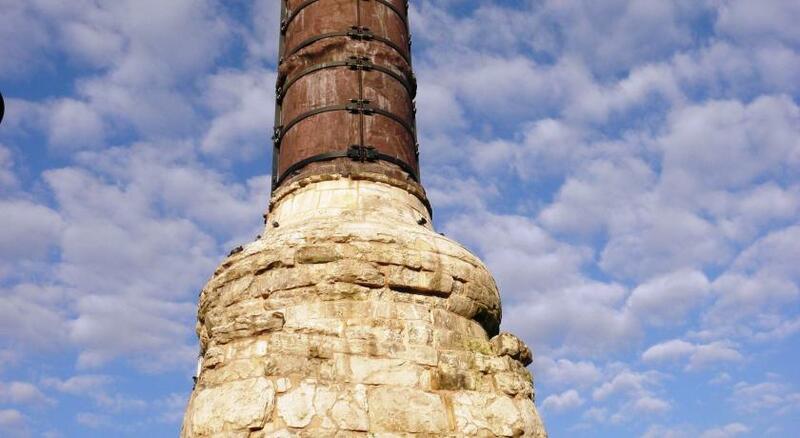 The location if you are visiting for the attractions surrounding it is wonderful. The breakfast at the roof is great with an amazing view. The stuff were much supportive and welcoming. Amazing view of the Hagia Sofia from our room and the staffs were very friendly and accomodating. The Room is very relaxing and clean. 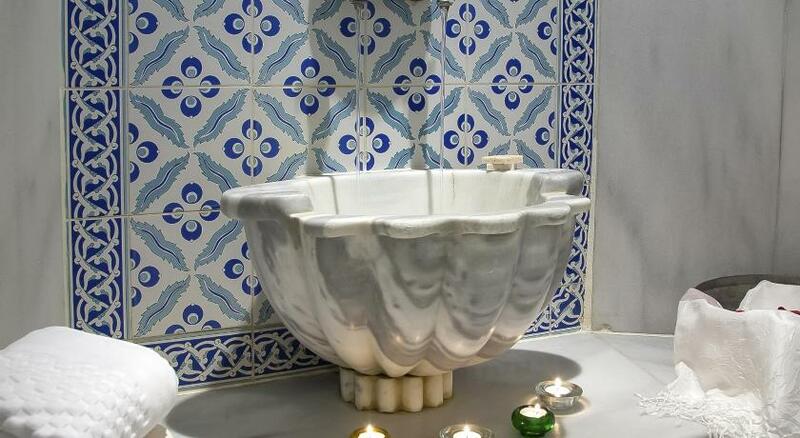 This hotel is located in the perfect location, just minutes away from the main sites like Hagia Sophia and the Blue mosque. 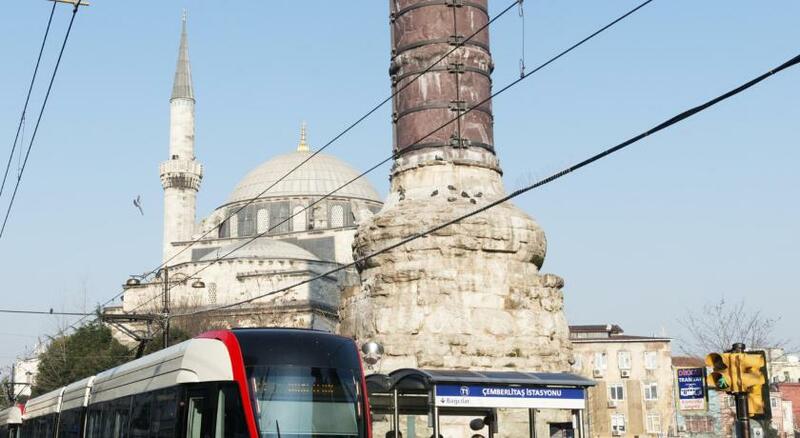 The tram is very close by as well as the Grand Bazaar. The hotel is located in a quiet alley; therefore, there were no noise disturbances. 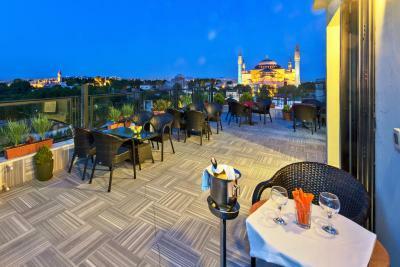 It also has great views of Hagia Sophia and the Bosphorus strait. Mr. Isa and the staff are super professional and very kind. They were always very attentive, helpful and took the time to answer all our questions and make recommendations. I would definitely stay here again in my return trip to Turkey. 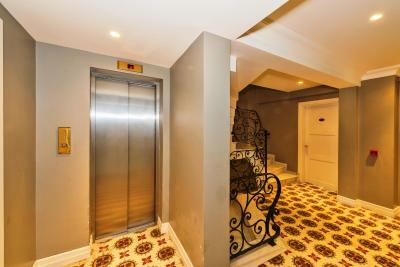 The hotel is located in the heart of Istanbul and in 2 minutes walking distance from Haggia Sophia, Topkapi Palace, archeological museum and Islamic art museum. The staff was super friendly and made our short vocation much more easier explaining everything we need, directions to attractions and recommendation where to eat. They upgraded our room to deluxe and we had splendid Bosporus view. Also they have a beautiful terrace that an absolute must to visit. Everything was just perfect! Special thanks to Isa, guy from reception. Staff. Location. Terrace. Room. All 10 points I would say. 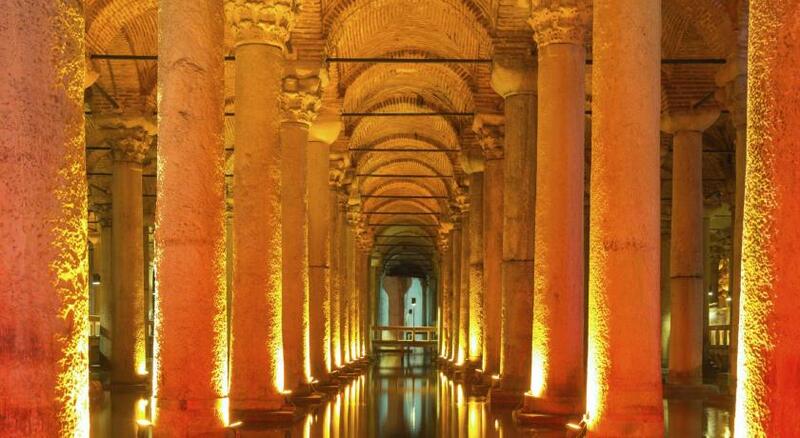 It’s 5 minute-walking distance from Sultan Ahmed, Hagia Sofia, Basilica Cistern and Grand Bazaar! I haven’t met such a nice staff. Buffet was great too! Agora Life Hotel This rating is a reflection of how the property compares to the industry standard when it comes to price, facilities and services available. It's based on a self-evaluation by the property. Use this rating to help choose your stay! 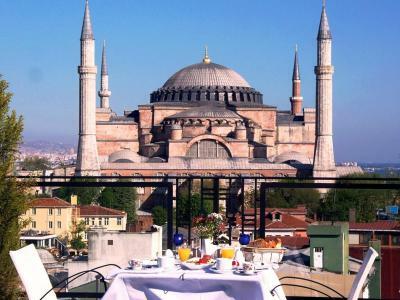 One of our top picks in Istanbul.Just a 5-minute walk from Hagia Sophia, Blue Mosque and Topkapi Palace, this hotel offers modern accommodations with free wireless internet access. 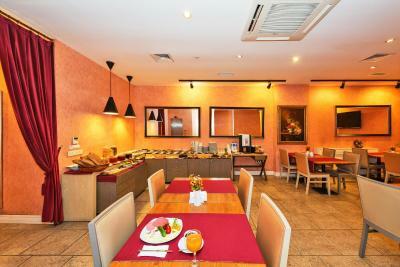 It has a rooftop terrace and offers a buffet breakfast. 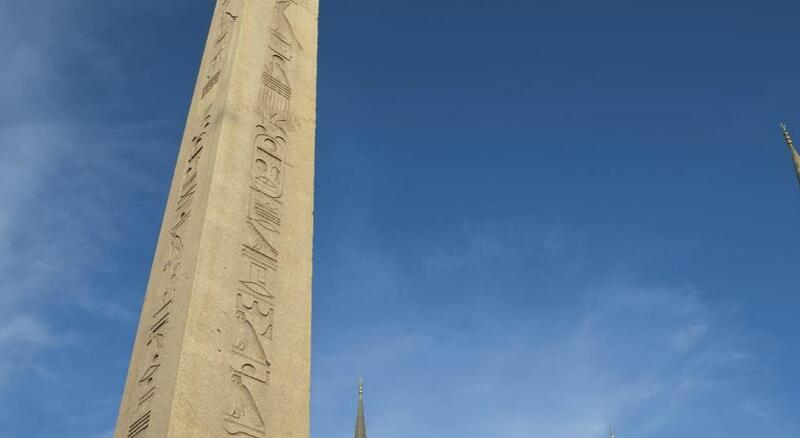 In the heart of Sultanahmet, Agora Life Hotel offers an ideal location for guests who want easy access to Istanbul's most historic sites. 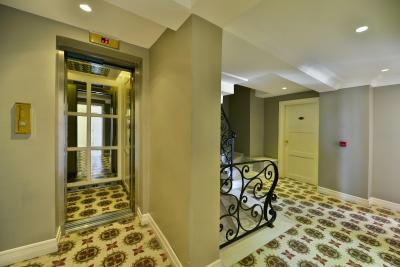 Each of the rooms is tastefully decorated and has contemporary wooden floors. They come equipped with LCD TV and laptop-size safes. 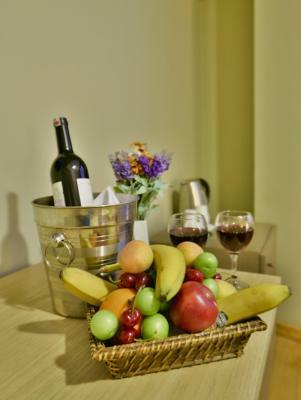 Thoughtful touches also include a fruit basket and a bottle of mineral water upon arrival. There is also a complimentary coffee/tea setup in the rooms, which is refilled daily. Istanbul's Grand Bazaar is just 10 minutes' walk away. 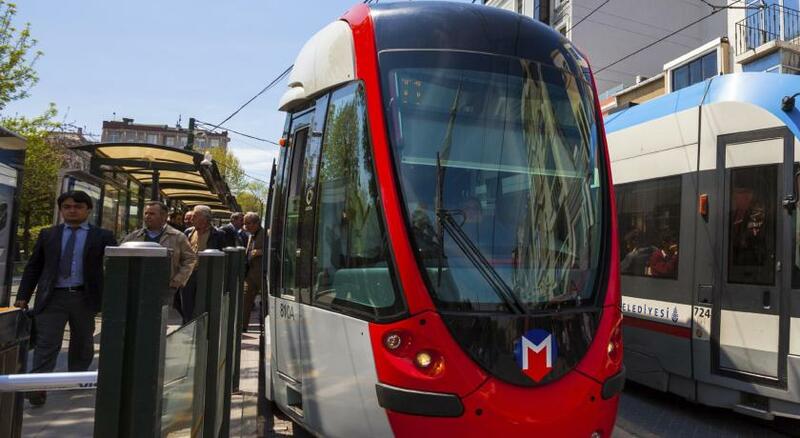 There are also excellent public transport links close to Agora Life, providing easy access to the rest of Istanbul. 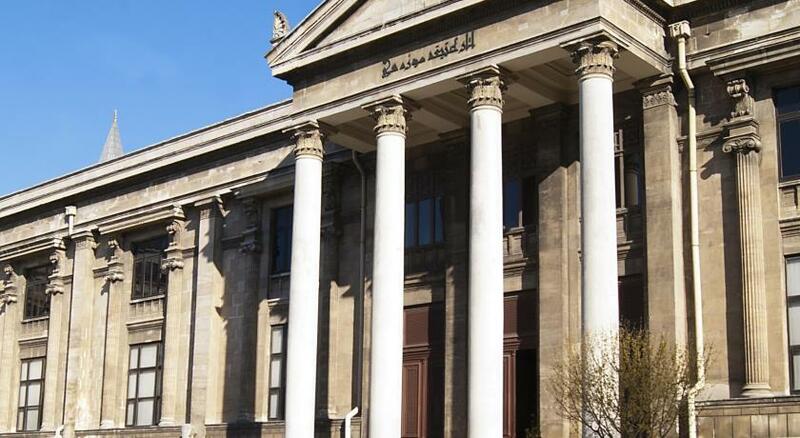 The lively Taksim Square is 2.8 mi from the property and Istanbul Congress Center is 3.7 mi away. The attentive staff can arrange a rental car, airport shuttle services, or offer tips on what to see and do in the area. 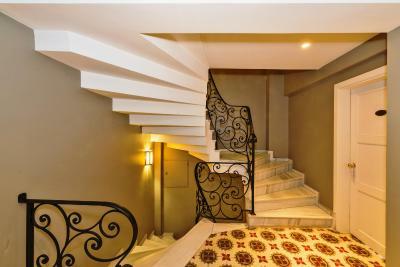 Ataturk Airport is 11 mi away and Sabiha Gokcen Airport is within 28 mi of Agora Life Hotel. Istanbul Airport is 32 mi away. 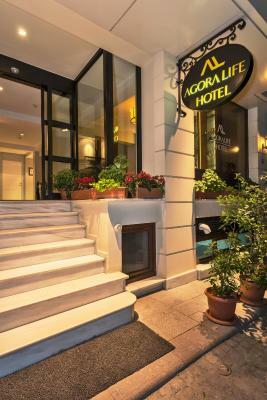 When would you like to stay at Agora Life Hotel? Featuring free WiFi access and a tea and coffee maker, parquet floor, this room offers street or backyard views. The room comes with a satellite TV, quality bathroom amenities and daily house keeping service. Air conditioning and central heating is available in the room. Featuring free WiFi access and a tea and coffee maker, this spacious room is decorated with modern furnishings. 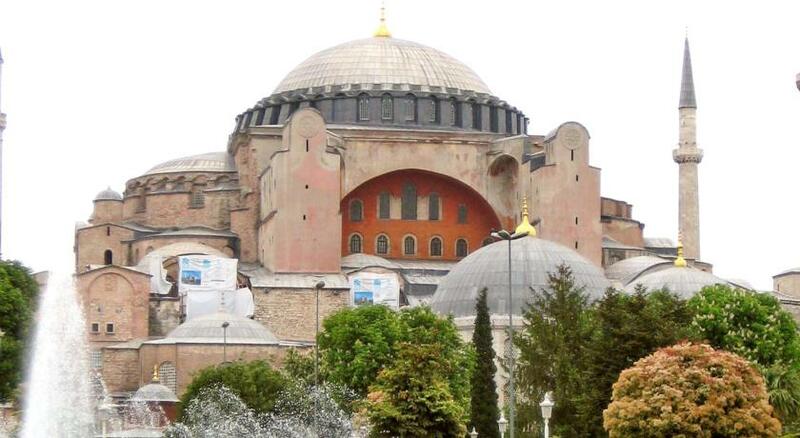 It offers view of Hagia Sophia. Guests staying at this room receive a free bottle of wine upon arrival. Featuring free WiFi access and a tea and coffee maker, parquet floor, this room includes 2 bedrooms and each has a separate bathroom. 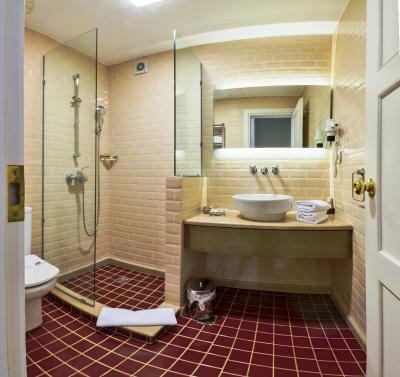 The room comes with a satellite TV, quality bathroom amenities and daily house keeping service. Air conditioning and central heating is available in the room. Featuring free WiFi access and a tea and coffee maker, this spacious room is decorated with modern furnishings. 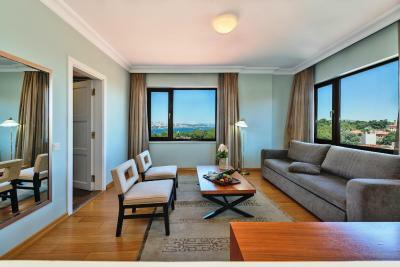 It offers view of the Bosphorus .Guests staying at this room receive a free bottle of wine upon arrival. Featuring free WiFi access and a tea/coffee maker, this room includes separate seating area, DVD player, and complimentary wine upon arrival. 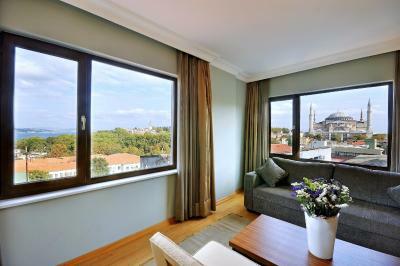 Also room offers views of Bosphorus Strait, Topkapi Palace, Dolmabahce Palace or Galata Tower. Featuring free WiFi access and a tea and coffee maker, this spacious room is decorated with modern furnishings. 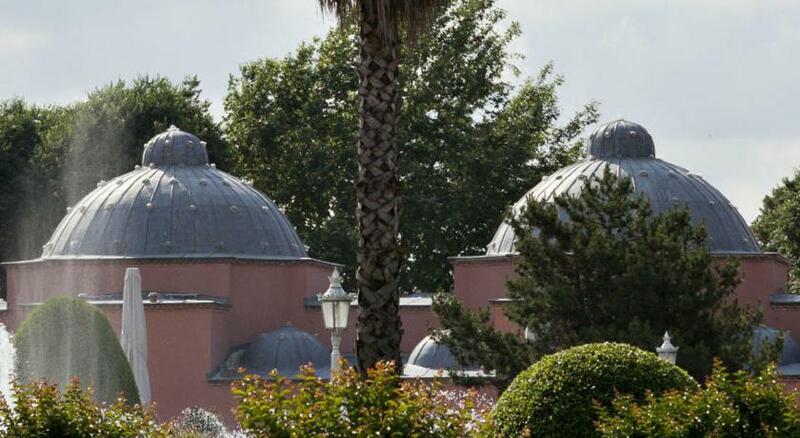 It offers the Bosphorus or Hagia Sophia view. Guests staying at this room receive a free bottle of wine upon arrival. Guests staying a minimum of 3 nights can benefit from free airport shuttle services from Ataturk Airport to the property. House Rules Agora Life Hotel takes special requests – add in the next step! Debit card Agora Life Hotel accepts these cards and reserves the right to temporarily hold an amount prior to arrival. Agora Life Hotel accepts these cards and reserves the right to temporarily hold an amount prior to arrival. Please note that guests will receive a bottle of mineral water and a fruit plate upon check-in. Guests staying a minimum of 3 nights in Suite with Sea View, Deluxe Double Room with Hagia Sophia view, Family Suite with sea view and Deluxe Double Room with Sea View can benefit from free airport shuttle services from Ataturk Airport to the property. Please inform Agora Life Hotel of your expected arrival time in advance. You can use the Special Requests box when booking, or contact the property directly using the contact details in your confirmation. The room was noisy (we had the family room), we were able to hear everybody in the hotel lobby. Aircon groups outside made a lot of noise which was very annoying at night. The refrigerator in our room made a lot of noise in the night. Breakfast could have been more child friendly. The bathroom was really small I could hardly move around it. And the cleaning wasn’t very good. Hotel very near the tourist landmarks so that was good. The shower in our suite didn’t have much power. 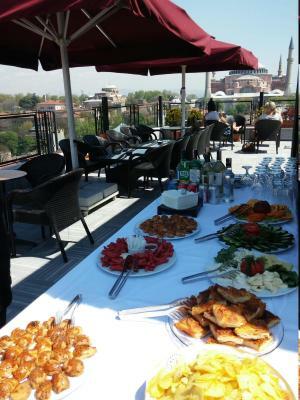 Excellent location we got the Sophia Suite which overlooked the Bosphorus and Haga Sofia. Isa the hotel Manager was exceptional, he spoke clear English and was polite, patient and very helpful. The rooms are not soundproof, so you can hear any move outside. We ordered the room for 2 persons with 2 single beds, but it was with 1 big bed , my view is that the room was for 1 person only. The size of the room is in 2 times less than in the description. The location is excellent. The staff is very friendly and helpful. The terrace with wonderful view is on the 5th floor. Fine breakfast. Location was good, it was central for all tourist attractions. Way too much noise, we had a room near reception and we couldnt sleep well .